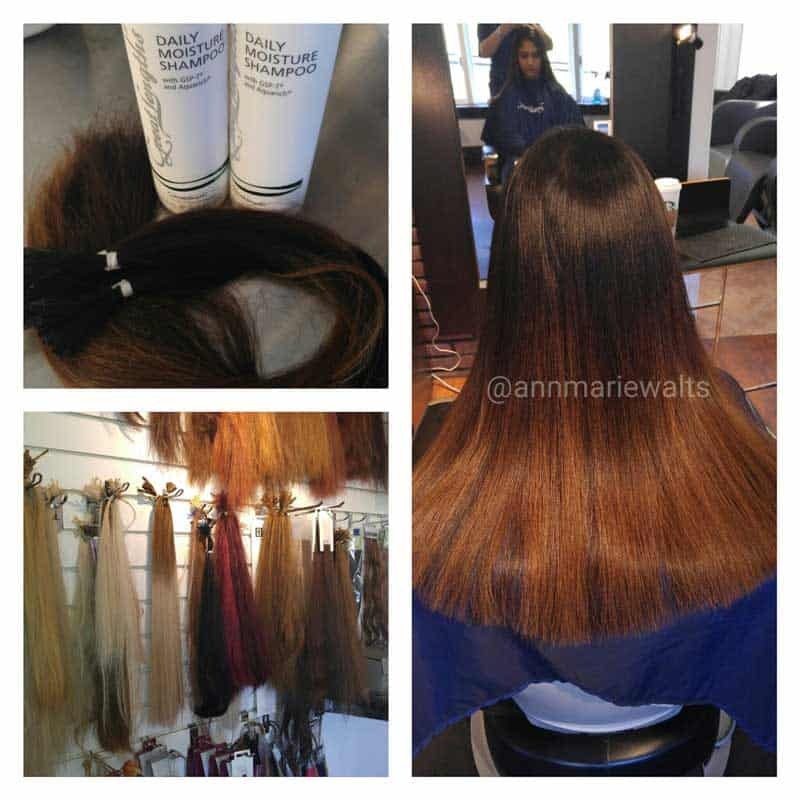 Not all hair extension hair is created equal for quality, but when it comes to Great Lengths....you cannot go wrong. Great Lengths produces high quality hair extensions. Great Lengths hand colors the hair, and then custom blends each one of the shade with 3 differing shades to create stunning hair color. The shine of the Great Lengths hair color is just right, and will not be a dead give away that you are wearing a hear extensions.